One of the most surprising things when you look at small businesses is how many of them don’t have a website. Any business that does not have a website is missing out on one of the most powerful marketing tools available to them. A company website has become an important marketing tool to attract new customers and to keep the existing ones informed of what your business is doing. The point is not that your business needs a website; the point is that your customers expect your company to have it. A Good website design needs to be visually appealing, navigation friendly, highly content rich and above all, search engine optimized in order to attract & retain visitors. We at GS Teckno ensure your website works for your business. Mere presence is no presence on the web; users should actually know your existence, visit your website, appreciate you and translate to leads or sales. Years of experience and skill makes it possible for us to create websites that are out of the box as well as interactive and appealing to the customers meeting the client requirements and website objectives. From static HTML based websites to DB (database) driven e-Commerce or Portal website development to Classy Flash sites, trust us to give you a website that meets your business needs. Our Website Design and development include Static websites, Dynamic websites, CMS websites, Responsive websites, Web Portals etc. Static websites are popular because they are super-efficient andextremely fast. We offer static websites with linked pages using a font or graphics-based logo, and containing text, and simple graphics. Sites may include any number of pages with minimum script and HTML which helps in SEO.Blogs, resumes, marketing websites, landing pages, and documentation are all good candidates for static websites. A dynamic website is required for content such as online databases, e-business, collaborative content, membership, private areas, knowledge base, a resume or jobs database, online shopping site etc. We offer dynamic websites built using different scripting languages and make your website good looking , traffic retaining , easy to navigate and flawless.We also ensure creativity in every design and development. A Content Management System is a web application that makes content authoring and content delivery easy. We have the team of experts having hands on experience while working with CMS like Wordpress, Drupal, Joomlaetc. A better CMS can give you the better control over your site and anybody can change their content on regular basis without to worry anything. It is the approach that suggests that design and development should respond to the user’s behavior and environment based on screen size, platform and orientation. We offer affordable design services to develop and deliver optimized responsive websites. GS TECKNO offers end to end solutions based on vast experience to build interactive and efficient portals for our clients. 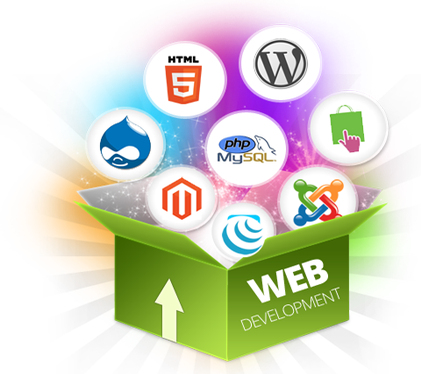 Web Portal Development is a multi-dimensional operation of knowledge and expertise at many levels, to ensure excellent results time after time. GS TECKNO’s innovative and cost –effective web portals are expertly designed to maintain critical unique brand identity with maximum visibility for you.